Road trips are summer's favorite method of travel for one reason: their flexibility. 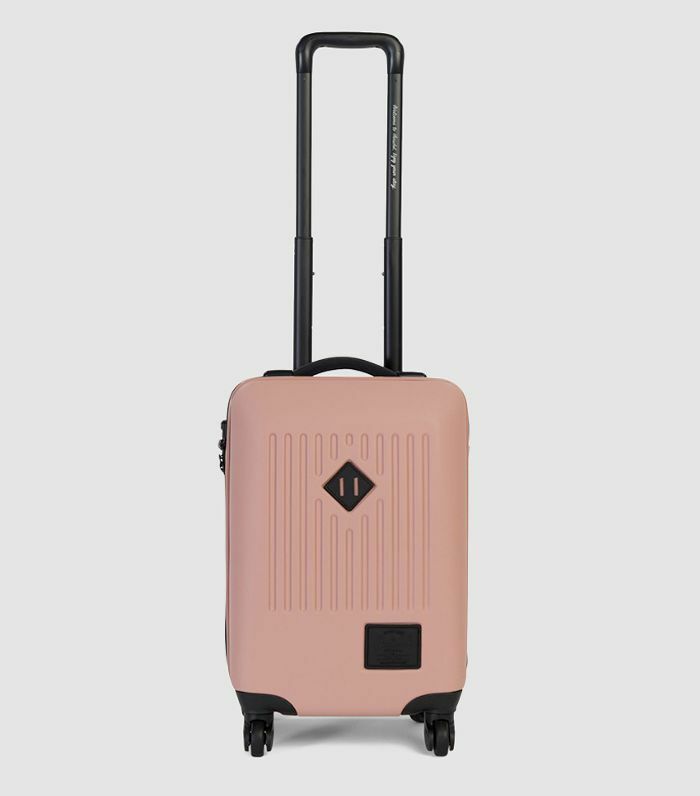 You can pack up in whatever transportation suits your group without having to check flights or even do much planning. Even accommodations are easier—if you're the planning type, you can have hotels already settled or book as you travel. Road trips can be tailored to exactly what you want to do, and it's the reason a quick road trip one of the best ways to end the summer. If you're settling on a route, California's golden coast is one of the easiest, and most scenic road trips in the U.S. Along the central coast alone, from San Francisco to Santa Barbara, you're looking at about 330 miles of land, which can be completed in about five and a half hours. The real payoff to the central coast is being able to see multiple destinations that are clustered fairly close, meaning you won't be seeing more of the freeway than actual points of interest. On my own journey through the central coast, I decided on a Chevy Bolt EV because I wanted an electric car that would be great on gas and made the last-minute journey that much easier (and cost-efficient). If you prefer to go by train, the Amtrak's Coast Starlight route makes a beautiful excursion up the coast from Los Angeles to Seattle. If you do decide to go by car, you can journey along the CA-1 freeway, which not only makes directions a lot simpler, but it trails along the coast so you always feel like you're seeing something, even when you're on the road. The CA-1 will take you to nearly every town here, especially starting from San Luis Obispo up into San Francisco. Mapping a route from north to south, here are six destinations you're going to want to hit on your next central California road trip. The gem of California's central coast, San Francisco's fog-laden landscape bursts with a character that's completely its own. San Francisco builds vertically in sharp contrast to Los Angeles's relatively flat landscape, but despite skyscrapers overhead, the city retains that signature, laidback California spirit that marks it in contrast to the hustle and bustle of most concrete jungles. See: Union Square is the center of the city's bustling financial district and houses rows of high-end clothing and décor shops. Gump's is a necessary stop for any interior design enthusiast with a mixture of designer décor and interesting curios lining the shelves. Pacific Heights is where you can find consignment and vintage, while the Mission District is home to independently owned shops and eateries. Stay: If you're looking for an upscale stay, the Mark Hopkins in Union Square is one of the city's most beautiful hotels. Even a quick drink at Top of the Mark, the hotel's rooftop bar with panoramic views of the city, is well worth the stop. Eat: North Beach houses San Francisco's vibrant Little Italy neighborhood, which is lined with rows of small Italian restaurants, bakeries, and delis. Scoma's, an oceanfront eatery, specializes in what it calls fresh "pier-to-plate" seafood. Another dining option to check off your list is Brenda's French Soul Food, located in the Tenderloin District, which offers up classics like crawfish beignets, shrimp and grits, and, of course, sweet beignets for dessert. 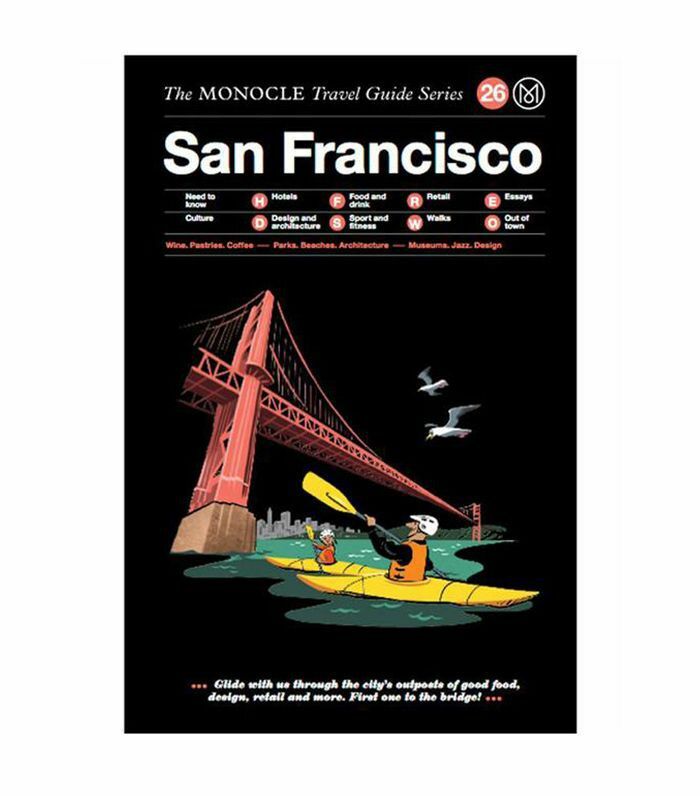 Before you head off to San Francisco, pick up a guidebook, like the Monocle Travel Guide, to break down the city's many districts. Of the central coast's many charming cities, Carmel sets itself apart as a town imbued with its own singular character. Swaths of open land are lined at the fringes with towering mountain ranges, making Carmel particularly compelling for the nature lover. See: Take a ride along Carmel's famous 17-Mile Drive, a route along the coast of Pebble Beach that includes passing by the Lone Cypress, a single-standing cypress tree on a cliff overlooking the shore. After, explore Downtown Carmel for boutique shopping set in the city's signature storybook buildings. For nature lovers, Carmel Valley and Carmel Mountain offer a host of scenic options, including the beautiful Monterey Bay Coastal Trail that dips into neighboring Monterey. Stay: Bernardus Lodge is an expansive resort tucked away in the quiet hills of Carmel. Each bungalow-style room offers a private, peaceful retreat, while the grounds of the resort include a golf course and full spa. At night, gather around the resort's many firepits for an evening of stargazing. Eat: If you're interested in wine-tasting, look no further than Folktale Winery and Vineyards, a picturesque winery that looks like it leaped out of a storybook. Small bites are also available, and suggested wine pairings are happily offered. An option in Downtown Carmel is Dametra Cafe, one of the city's most popular restaurants, which serves up Mediterranean cuisine. Save room for the baklava—it's raved about for good reason. 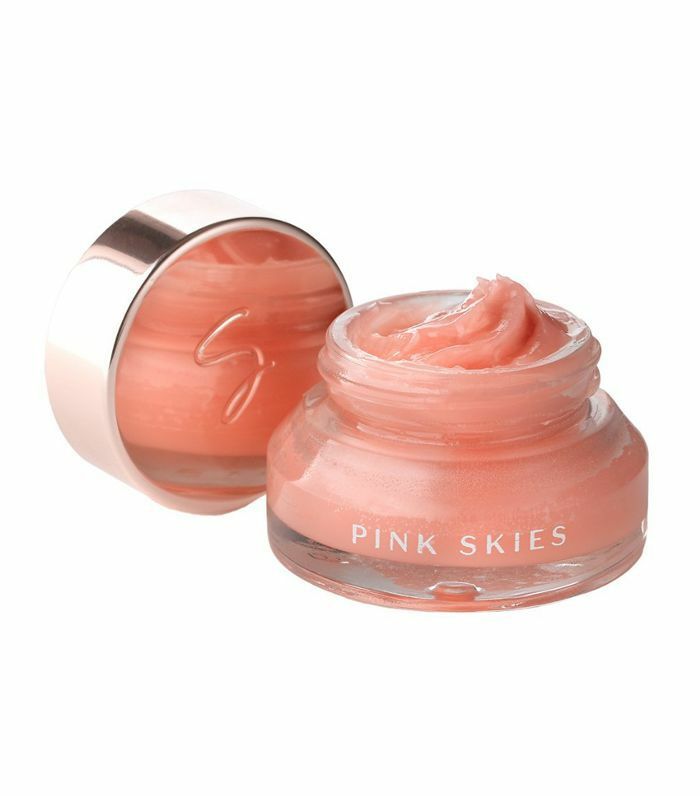 A quick, all-in-one solution to nearly any beauty woe, this lightweight balm works on chapped lips, dry patches, and cuticles and is small enough to keep tucked away in your bag. Monterey is a quiet fishing town that has multiple points of interest centered around the sea. Most of your time here can be spent at the sea—downtown Monterey and many of the surrounding hotels are within easy walking distance to the shore. See: One area to explore on your trip to Monterey Bay is Old Fisherman's Wharf (not to be confused with San Francisco's Fisherman's Wharf), which is lined with numerous shops and restaurants along the city's most famous street, Cannery Row. Along Cannery Row, you'll also find the street's namesake: multiple defunct sardine-canning factories. At the center of Cannery Row is Monterey Bay Aquarium, which is an aquarium with heart. Every aspect of the place is meticulous: The aquariums are taken care of, and caretakers are knowledgeable about each of the species housed here. It's not the largest or most grandiose aquarium, but its thoroughness sets it apart. Stay: One of the city's most well-known hotels is the Clement Monterey, located on Cannery Row near Monterey Bay Aquarium. With a water-facing view, the hotel's central location offers easy access to Monterey's best-known areas. Eat: If you guessed seafood as Monterey's most abundant cuisine, you guessed right. Try Old Fisherman's Grotto located at the wharf, a waterfront restaurant best known for its clam chowder. One of the most interesting eateries in town is Compagno's Deli, an authentic Italian deli that offers generously portioned sandwiches that are great for packing up and taking to the beach. 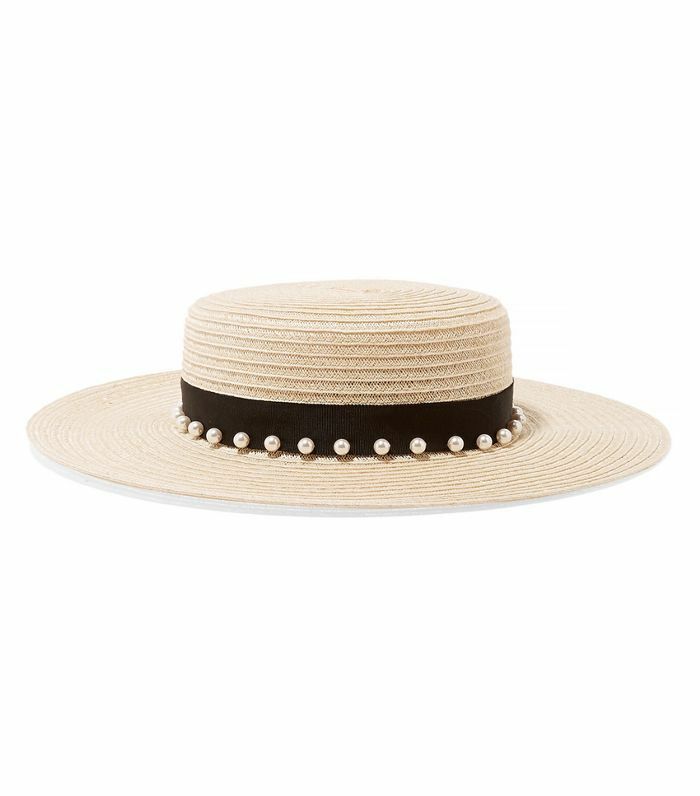 Keep the coastal vibes going with a small boater hat—an easy-to-pack alternative to wide-brimmed sun hats. It's difficult to overstate just how beautiful Big Sur is, and seeing the town is an experience that can be tailored to your own interests. Hiking and camping are available, as are high-end lodges. If you want to drive through on your journey north, its roads offer more than enough picturesque views to make it worthwhile. See: One of Big Sur's most famous points is Bixby Bridge, an intricate, elegantly arching bridge set directly along the coast. After driving through Bixby, there are numerous state parks to explore, the best known being Julia Pfeiffer Burns State Park, whose central point of interest is an 80-foot waterfall. There are also beach areas to enjoy, like Pfeiffer Beach, which includes purple-tinged sand and incredible rock formations, including Keyhole Rock. Stay: Treebones Resort is one of the most interesting places to lodge—part glamping, part onsen, Treebones is nestled into Big Sur's South Coast with an ocean view. Guests can either stay in one of its fully furnished tents (called "yurts") or camp onsite in one of the resort's "twig huts" and bring their own gear. One of the most incredible lodging options on the grounds is the "Autonomous Tent," which secluded on its own perch and is completely powered by solar energy. Eat: Big Sur provides many restaurants with a view and outdoor dining options as well. Sierra Mar, located at Post Ranch Inn, is built along Big Sur's cliffs and offers a four-course, prix-fixe dinner menu that brings modern takes to American cuisine. Nepenthe is another clifftop dining experience that offers up American cuisine in a bohemian setting. Another essential in sun protection? 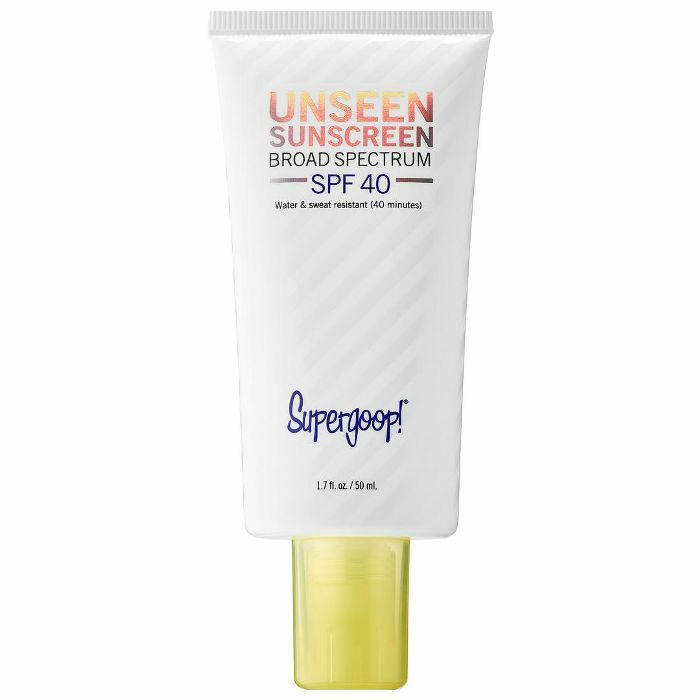 A good sunscreen like Supergoop's brilliant sheer formula. Easy-going San Luis Obispo is a quiet college town with a charming downtown scene and an expansive wine country. While it may not have the same iconic markers as San Francisco or Big Sur, its tranquil atmosphere makes it well worth a stop. See: Downtown San Luis Obispo is where the heart of many of the city's attractions are. Bubblegum Alley is an excellent photo op, while San Luis Obispo Mission is nestled in the middle of downtown. Wineries are also plenty, with Tolosa Winery being one of the most well-known. Pismo Beach, located just south of San Luis Obispo, offers additional wineries with an oceanside view. If you're willing to take a detour, San Luis Obispo is also located about an hour south of Hearst Castle, which is a great stopping point on your way to (or from) Big Sur. Stay: One of San Luis Obispo's most famous locations is the Madonna Inn, designed with over-the-top, kitschy décor that's unapologetically maximalist. Every room in the Madonna Inn is decorated in its own unique setting. The Love Nest is a hot-pink room bedecked with heart mirrors, Victorian-style fainting couches, and a spiral staircase (also hot pink) that leads to a private viewing tower. Rock Bottom is designed to look like a cave and includes rock from ceiling to floor, along with a waterfall shower. (Yes, that's rock too.) Even if you don't stay overnight, it's worth a stop just to marvel at the spectacle—or, at the very least, check out images of the rooms on its site. Eat: Most of San Luis Obispo's restaurants are located in the city's downtown area, where plenty of shops and restaurants are within walking distance. For vegetarians and vegans, Linnaea's Cafe is the perfect casual meal for comfort food. Also worth a trip is SloDoCo Donuts, who has what seems to be a never-ending list of flavors, including a very Instagrammable rainbow-hued Galaxy donut, along with the classics. 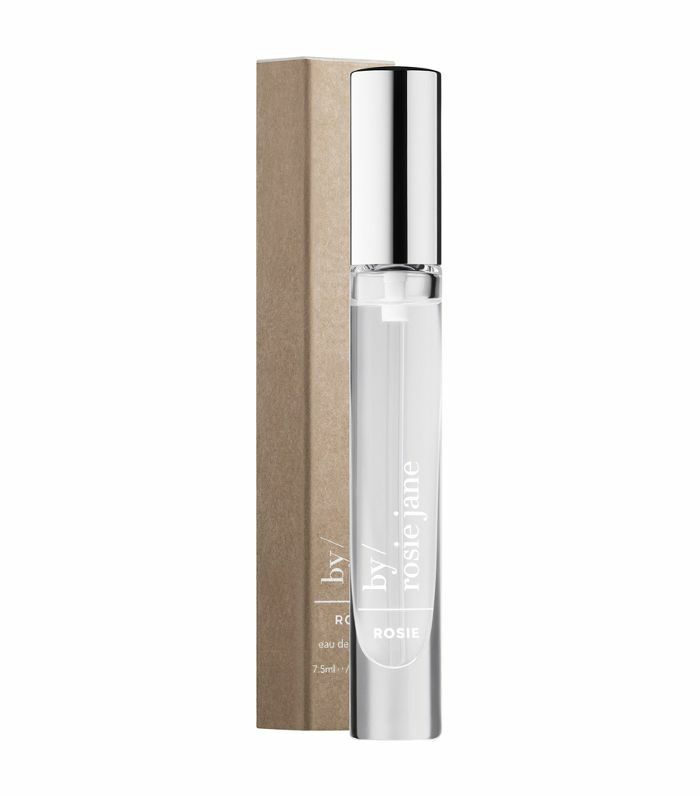 If you're looking for a lightweight fragrance to take with you on the road, try By Rosie's organic line that includes the eponymous Rosie, a refreshing eau de parfum with a subtle floral scent that never feels overpowering. Santa Barbara's oceanside location is beautiful, but its the city's pristine white adobe walls and tiled red clay roofs that give it its signature style. See: To get a good sense of the city's landscape, explore State Street, the center of Santa Barbara's downtown area, as it's a scenic way to take in the city's unique architecture. Another great walking route is along Santa Barbara Harbor, which connects the city's beaches. There you can also visit Stearns Wharf, the city's iconic wooden pier. Stay: While Santa Barbara has its fair share of beautiful accommodations, Simpson House Inn makes for a unique stay. Styled as a luxury bed-and-breakfast, the Simpson House Inn is made up of multiple buildings: a central Victorian mansion, various white cottages, and a restored carriage room. Breakfast is complimentary and is delivered every day. Eat: Like so many central California areas, Santa Barbara has plenty of wine country to explore. Bridlewood Estate is one charming example, with mission-style architecture and a homey tasting room. Now that you've got a complete guide to California's central coast, it's time to pack up and see it for yourself. Subscribe to our newsletter for more travel guides and inspiration. This trip was paid for by Chevrolet. The editor's opinions are her own.